(i) MBL was incorporated as ‘Music Broadcast Private Limited’ on November 4, 1999, as a private limited company under the Companies Act, 1956. It was converted into a public limited company pursuant to a resolution of the shareholders at an extraordinary general meeting held on June 15, 2015 and consequently, the name of the company was changed to Music Broadcast Limited. (ii) Music Broadcast Limited (MBL) is the 1st private FM radio broadcaster in India. MBL has its presence from 4 cities in 2001 to 39 cities as of 30th June 2018 and is present in 12 out of the top 15 cities in India by population. 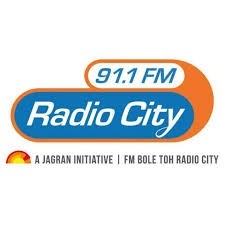 MBL also operates 52 web radio stations through radiocity in 11 languages, which has a listenership of 44.3 mn as on June 2018. MBL has been Ranked 1st in Mumbai, Bangalore and Delhi in terms of a number of listeners and has a total number of 67 million listeners across all 34 cities covered by AZ Research. MBL has been awarded the Best Place to Work in the media industry and other industries in 2013, 2014, 2015, 2017 & 2018. (i) The Board unanimously approved a buyback proposal for the purchase by the Company of its fully paid up equity shares of face value of INR 10 each, at a price not exceeding INR 385 per equity share out of free reserves or such other sources as permitted by law, from the shareholders/beneficial owners of the Company, from the open market through stock exchange mechanism as prescribed under the Companies Act 2013, provided that the buyback shall not exceed INR 57,00,00,000. (ii) At the maximum buyback price of INR 385 per equity share and for the maximum buyback size of INR 57,00,00,000, the indicative number of equity shares bought back would be 14,80,519. In this method of share Buyback, the company will be purchasing stocks from existing shareholders of the company directly from the market. Example: “Music Broadcast Limited” announces buyback plan of its shares up to value of Rs.385, it means that the company will be purchasing shares of "Music Broadcast Limited" from the open market at a price not exceeding Rs.385 per share. Scenario 1- If the share price is below Rs. 385, in that case, the company will put buy order at Current Market Price and purchase shares. Scenario 2- If the share price is above Rs. 385, in that case, the company will put buy order at Rs. 385 only and if someone is ready to sell at Rs.385 or less then only company will get back shares. Music Broadcast Limited Buyback is an Open Market BuyBack In this method of share buyback, the company buys its own stocks from the market. This transaction happens through the company’s brokers. This repurchase program happens for an extended period of time as a large block of shares needs to be bought. The company is under no obligation to conduct the repurchase program after the announcement. The company has the option to cancel it. Also, it can make changes in the repurchase program according to company’s situations and needs. If this method is effectively implemented, it can prove to be very cost effective. Buyback Completed today. Company paid about 326 average price for shares. The market price when buyback was announced was about 295. Thanks for sharing the info Gaurav bro. It is an open market buyback, not a tender buyback. In this buyback, the company buys back shares from the open market rate. So no gain as such for investors. This is a Open Market Buyback and not a Tender Offer. You just need to place a normal sell order on the exchange. Music Broadcast said it will purchase its fully paid up equity shares of face value of Rs 10 each, at a maximum price of Rs 385 per share. The buyback shall not exceed Rs 57 crore, representing 9.87% of the aggregate of total paid-up equity share capital and free reserves of the company based on audited financial statements of Company as on 31 March 2018.